It appears that YouTube is becoming the popular method for governments to reach out to the public. You may have heard that YouTube recently launched its first Southeast Asia partnership in the Philippines, prompting the government there to connect with its people more intimately via localized and government-official content on the platform. Germany is next in this string of governments-gone-social, launching its own official YouTube channel called Bundeskanzlerin, which means “Federal Chancelleor” in German. 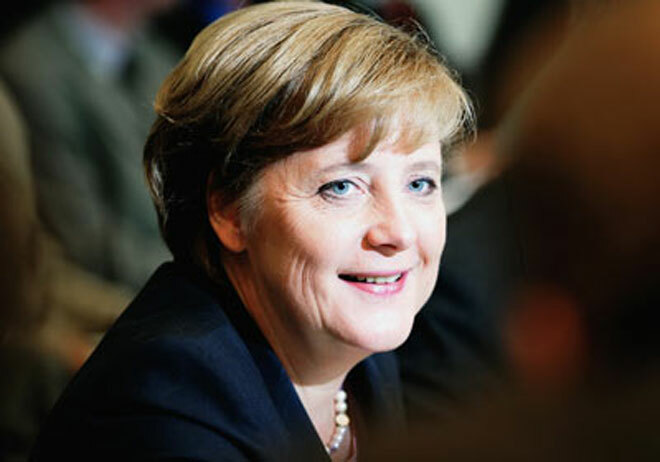 Deputy Government Spokesman Georg Streiter stated that YouTube users will be able to interview Chancelleor Angela Merkel next month via submission of written or video questions through November 7th, leaving Merkel to answer them in a November 18th event marking the occasion. As for immediate social media interaction, the German government is only relatively active on Twitter, using the service to publish its official announcements rather than traditionally through press releases. 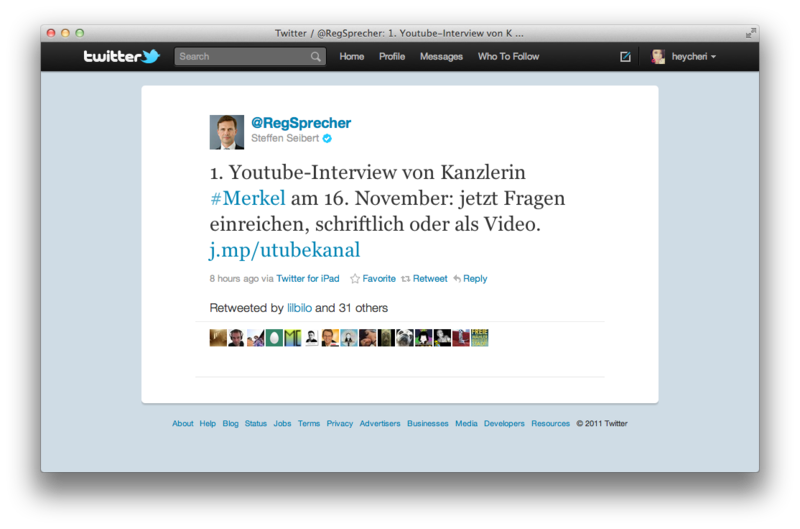 The German chief spokesperson for press relations, Steffen Seibert, for example, recently tweeted about the official government YouTube channel, along with the interview event for Chancellor Angela Merkel. Using Babylon’s translation software to convert the above to English, this means, “1. Youtube-Interview of Chancellor Angela Merkel of the #16 November: now submit questions in writing, or as video http://j.mp/utubekanal.” Apologies if this loose translation is incorrect, of course. In more social news, I reported earlier today that Facebook’s VP of Communications and Public Policy, Elliot Schrage, is currently in Germany to speak with Bitkom for representation. Could this be another hint towards how Germany is becoming increasingly more social? What do you think? Facebook and YouTube are in the mix — what could this mean for Germany’s economy? Social media is often used to express the “voice” of a brand or company; How do you feel about it being used to represent an entire country? Sound off in the comments.